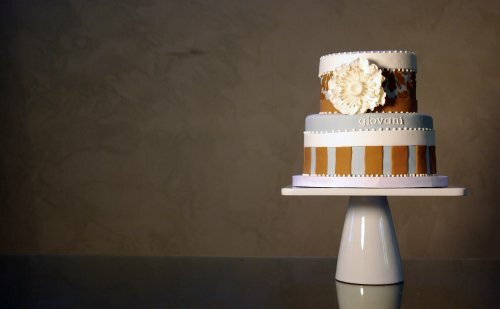 I can’t tell you how excited I was to design this cake! 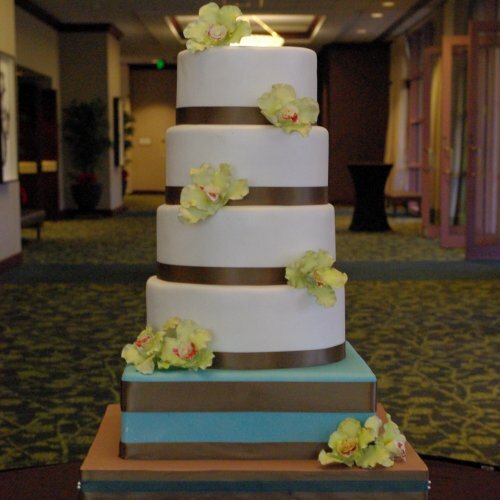 The design is is five tiers, inspired by the lovely centerpiece arrangements created by Michelle at the Silver Vase. 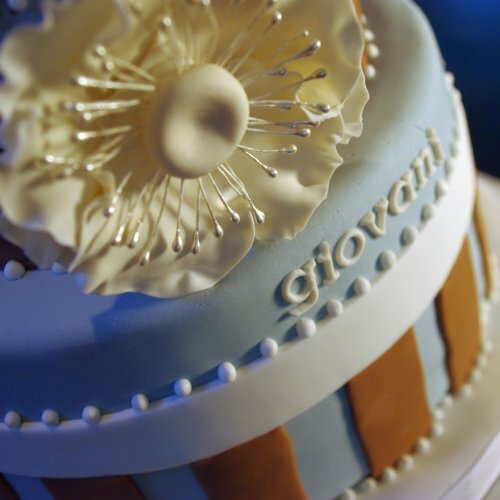 Each tier was covered in pearly white or teal fondant and accented with brown satin ribbon. 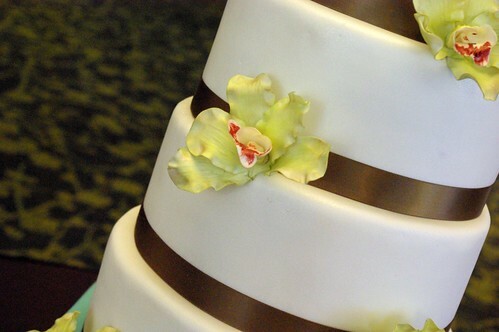 My favorite part of the design is the cascade of delicate, handmade sugar orchids. What a fabulous way to end a very busy week! This five-tier design includeds alternating full and half-height tiers. 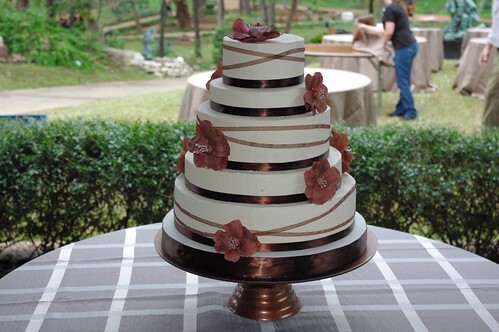 The design is accented with satin and sheer chocolate ribbon, as well as seven handmade larger-than-life sugar cosmos flowers. 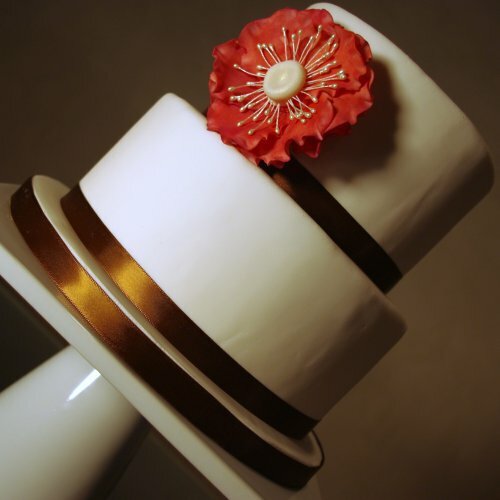 This little number is a two-tier design with crisp white fondant, satin ribbon, and a handmade gumpaste sugar anemone flower. Enjoy! This latest design was inspired by some lovely Banafish baby bedding. 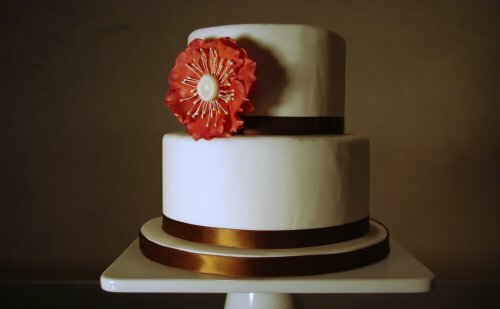 It’s decorated in tinted vanilla fondant and accented with a handmade sugar anemone flower (expect to see lots more sugar flower designs from Wicked Cakes!). Happy Easter! I had a great weekend of friends, family, and baking… hope you did, too! I did two projects this weekend, one which I’ll post on now, one for later. 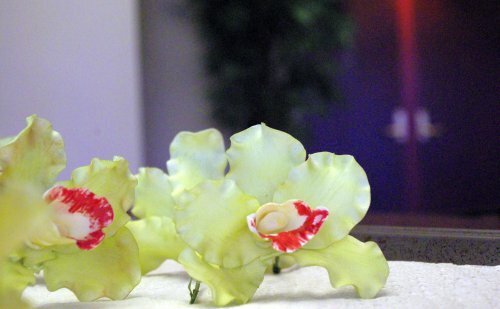 The first was an experiment in a new technique for me… big, beautiful gum paste flowers. 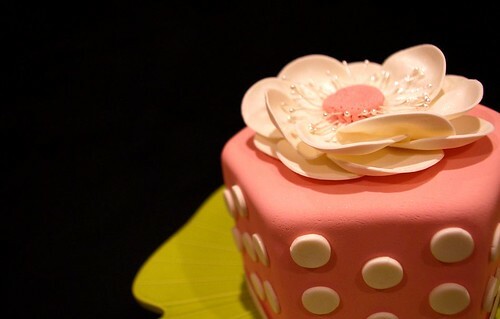 This little pink cake has white gum paste polka dots and a single, handmade ivory bloom. 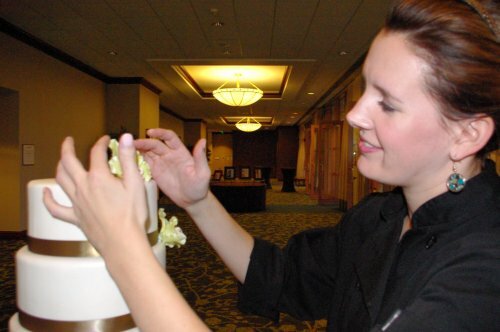 It was a great learning experience - I’m looking forward to doing more handmade sugar flowers on upcoming projects!